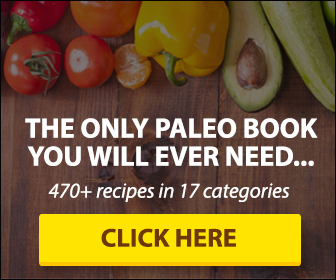 ThePaleoList Answers: Is Butter Paleo? I can’t believe it isn’t butter! Or, should I say, I cannot believe I can still cook with butter?! So…is butter Paleo? Butter is pretty much a universal symbol of totally-unacceptably unhealthy. It makes it on nearly everyone’s “Hell no, do not eat” list, so there is no way you are able to consume it when you are on a Paleo diet, right? The thing about butter when it comes to the world of Paleo is the same thing that comes up with a lot of elements on the food chain: How was the food produced? If the butter you buy was produced by factory cows you are probably in for a bad time. However, butter produced with milk from pasture raised cows has its benefits. Grass-fed butter can be rich in vitamin K2 and be full of a fat (butyric acid) which can help with you keep a healthy colon. Another fat that can be found in it could actually help protect against weight gain. Sure, some butter can be tough on some individuals digestive system, which means it may not be for everybody. But, specific butters are not the bad boy of spreads and cooking ingredients that a lot of people pose it as. I know, we hear you, how can butter be allowed on a Paleo diet if it wasn’t around during the Paleolithic era? It is true, butter was most defiantly not around during the Paleolithic era; however the diet is not truly as strict as that. If it really was limiting to foods absolutely 100 per cent available to our ancestors during that time you would not be eating anything at all, none of the meat you buy in the supermarket including beef, chicken and pork. Most of the fruits and vegetables we eat now are also not strictly from the era. It is actually impossible for us to re-create a diet of a person from the era because a lot of the foods they had we simply do not have anymore. Rather, the point of a Paleo diet is to learn the nutritional lessons of our Paleo cousins and apply them to our own modern foods. Basically, we are trying to avoid the scary food and asking ourselves if a food fits within the nutritional needs of a human, rather than was this around during the Paleolithic era? So, no. Butter wasn’t around during the Paleolithic era, but that does not immediately eliminate it from your Paleo diet. The true gray zone that clouds butters classification is that it is a dairy product, and because the proteins that dairy is filled with do not affect everyone’s immune system the same, and the carbohydrates can cause digestive problems a lot of strict Paleo diets exclude all dairy products from their acceptable foods list. But, the thing is, a lot of people whose bodies cannot handle dairy products are able to digest butter just fine because it is nearly entirely fat with very low levels of proteins and carbohydrates that lead to other dairy products being problematic to some. Butter is also quiet high in saturated fat and cholesterol and those of us who are eating Paleo already know that these two elements are not as bad as a lot of fad diets claim them to be. Actually, cholesterol is very important for the human body because it helps you synthesize vitamin D from sunlight. Butter is also full of vitamin K2. Grass-fed butter is also rich in fatty acids called conjugated linoleic acid which may have a significant anti-obesity benefit. And, truly contrary to a lot of popular belief out there, the fact that butter is high in saturated fat is a bonus for the food. The high level of saturated fat allows butter to be stable at high-heat cooking which is a quality praised in a Paleo diet. It also contains medium-chain triglycerides, which is a type of fat that can really come in handy for those partaking in a low-carb diet or, really, anyone who has a difficult time digesting fat, like people who suffer from gallbladder problems. So, does butter belong in a Paleo diet? The answer comes down to a very personal level, as nearly all decisions when it comes to your nutrition should. Butter is a much easier to handle form of dairy which packs some incredible health benefits while not carrying the same level of the problematic proteins and carbohydrates that run wild with a lot of people’s digestive systems. Which means if your body can handle the digesting of butter you can gain a lot of benefits by including butter in your diet. And that is good news for those people, because not only is butter absolutely delicious, when used correctly it can add some serious health benefits to your cooking. To conclude, no, butter was not around during the Paleolithic era, but let’s get real, neither was that chicken you’re planning on having for dinner tonight. And, yes butter is a dairy product. But, it can be used as a high-quality cooking fat with benefits including reducing inflammation, stomach health and protect against weight gain. So is butter Paleo? 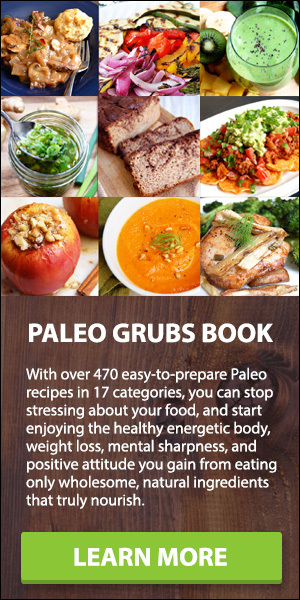 Slice a chunk off, cook in high-heat and enjoy guilt free because it is Paleo! IS PORK ROLL (TAYLOR HAM) PALEO?